Hello and welcome to my blog. If you have arrived here from Jenn's blog you are in the right place. At the bottom I will have a list of the participants so you can go back if you missed any. I am so excited to be participating in this blog share today. Some very talented ladies and friends of mine are embarking on a new adventure and I am honored to help them spread the word. 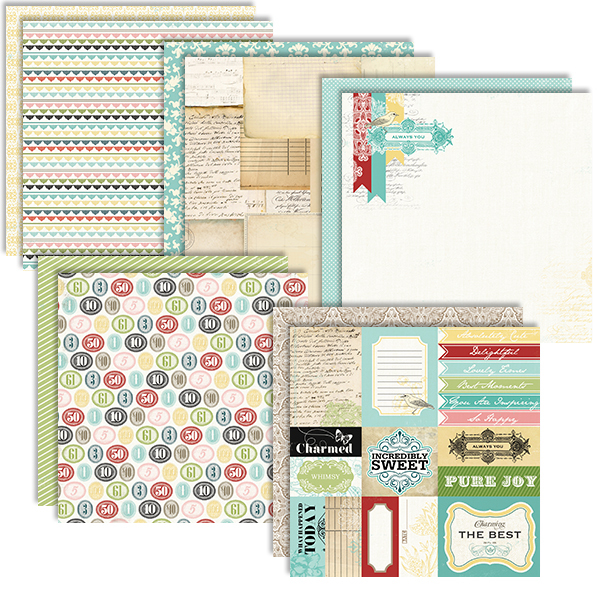 Gia Lau, Lacey Gasper, Jody Speigelhoff and Erica Thompson, all former Memory Works Consultants and design team members are launching a new scrapbook kit company called Clique Kits. It is exciting and I hope you all stop by and check them out. The following quote is our inspiration for the projects and products used in this blog share. I had so much fun with this line of products. I just love the colors and designs. Lacey Gasper designed some die cuts and flare buttons for us to use that coordinated beautifully with the main products. Thanks Lacey for your talent! I decided to make a "Junk Journal" for this blog share. I love mini albums and the possibilities of things to put in them. I have lots of little tags and I can use for pictures, quotes or journaling. I am only limited by my imagination! This is my front cover. I like to layer and boy did this kit have good stuff to do this with! Close up of front cover. On the corners of the front cover I used these neat antiqued brass corners that I had in my stash. The next pictures are my inside pages. I used a variety of tags and embellishments. I also used some different things for pulls on my tags. On the edge of everyother page I used an edge punch just for texture and variety. I love how it looks lacy and softens up the pages a bit. I had so much fun working with this kit! I can't wait to see all the wonderful products and kits that the ladies at Clique Kits come up with. Be sure to leave a comment on every blog because there will be a prize given to one lucky reader! 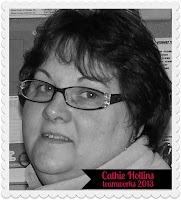 If you are not a follower of my blog or the other ladies I encourage you to become one. These ladies that I am lucky enough to be associated with are some of the most talented in the industry! Your last stop is back at Clique Kits. Thanks so much for hopping by today and I hope you have been inspired to create something beautiful for your world today! Hello there! 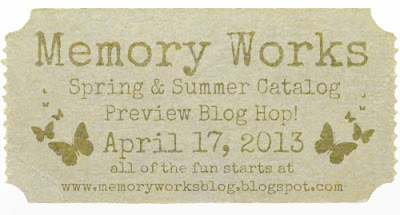 Today I have a post over on the Memory Works Blog featuring a tag that I created using the Echo Park Reflection line. I hope you stop over there and look at all the really creative things that the design team has been up to. Here is a link to the website with pictures of the entire Echo Park line. There are so many wonderful new products that Memory Works is carrying. 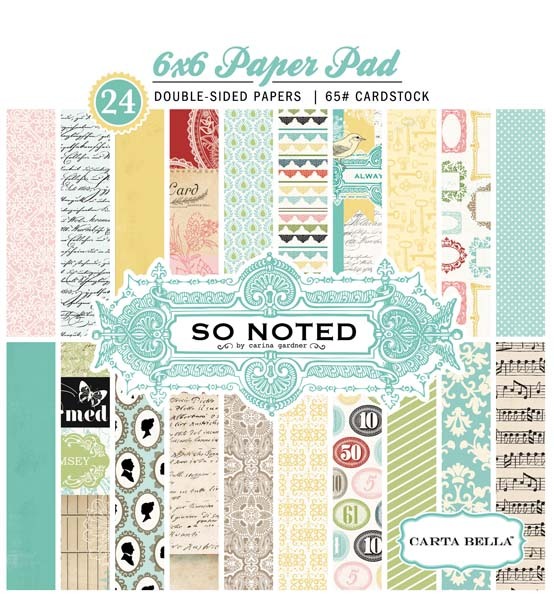 I hope that you will contact me if you'd like to order anything for your paper crafting projects. I will be using this tag as a special element on a layout that I will be creating soon. Meanwhile, I just get to look at it. I think it is really pretty and will make a great addition to my future layout. Thank you for stopping by today and I hope you come back soon. I'm so glad that you have joined us today! 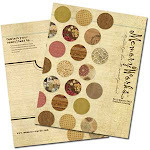 The Memory Works Design Team is so excited about out new fall catalog that we wanted to share some of the products with you. If you came here from Jody's blog (http://spiegelmomscraps.com) you are in the right spot. Isn't Jody such a talented paper crafter! She inspires me daily. Today I am sharing a layout that I made using the new Echo Park Reflections line. I chose a picture of my 1 year old nephew Bobby because I wanted to show how even though the paper line is on the dark side it can work beautifully with little boy pictures! I love his little grin! I hope you have been inspired and I know you are going to just love what Gia has for you! Gia is also a wonderfully talented artist and she also inspires me with everything she does! Enjoy the hop and don't forget to leave a comment on each blog to qualify for a prize to be awared by Memory Works! Happy Friday to you! Today I'd like to share my creative spot. I am fortunate to have my very own Tuff Shed building at the back of our yard that I can create in! The thing I love about this is, it is away from the house and I can just close the door and lock it when I am done working, no need to clean up my workspace. This is my little "Scraptuary"
Just a quick little blog here to show the layout I just finished of my father, brother, nephew and grand-nephew all named Robert Louis Petithomme!!! My niece Taylor Petithomme sent me some wonderful pictures of baby Bobby whom I will refer to as B4. Thank you Taylor! Here is the first layout I created with the pictures she sent me. I used a variety of paper lines for this... My Minds Eye, Simple Stories, some old sticker letters from Leaving Prints, Authentique tiny sticker letters, and solid color cardstock from American Crafts and Bazzil. Welcome to the Memory Works Spring/Summer Catalog Preview Blog Hop! You have arrived here from Amanda Bratu's blog.http://amandasscrapattic.blogspot.com. Didn't she have great things to share. For a complete list of participants or to start from the beginning of the hop please visit the Memory Works blog. 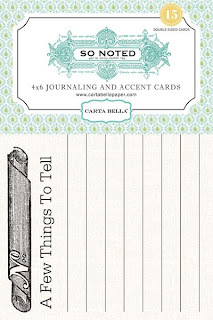 Today I am so thrilled to be able to share some projects created with fresh new and exciting products from Carta Bella. Carta Bella is fast becoming one of my favorite lines that Memory Works offers. You can see all of the Carta Bella and Memory Works products here. I am using the fun new line called So Noted. 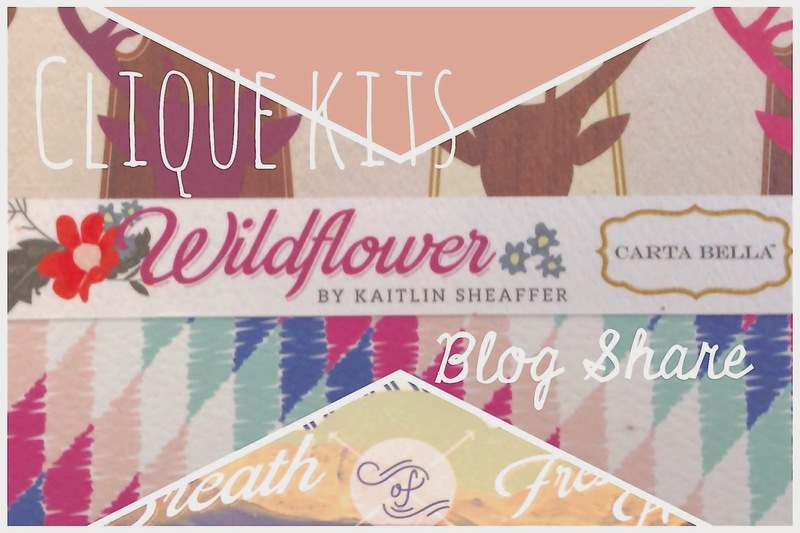 I wanted to show you how versatile these products are so from one line of product I have created a 12 x 12 layout, a mini album and three note cards. 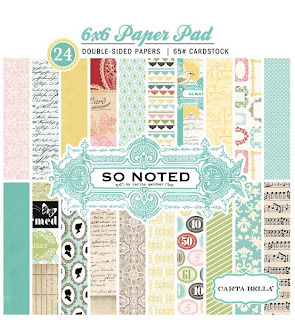 I have enough product left to create at least two more layouts and lots and lots of cards. This layout is a great picture that my father in law recently gave to us. It is him when he was in the Army Air Corp in World War II. I used my Heidi Swap edge distresser to rough up the edges of some of the papers. I made the envelope using an old school Colluzle envelope template. The ribbon is seam binding that I sprayed with walnut stain and crumpled then dried with my heat gun. I used my sewing macine for additional texture and inked around the edges of the cream cardstock. Here are the three cards that I have created so far. Like I said, there are tons of paper and stickers left to create many more cards! I love making mini albums for all sorts of occasions. But sometimes I can get stuck in a rut and I have a hard time coming up with new ideas. For this little book I used the 4 x 6 journaling cards and punched two holes in them and then created a cover using elements from the cardstock, stickers and the 6 x 6 pad. It came together really quickly and I think I will use it for inspirational qoutes that I come across. Your next stop is JodySpiegelhoff's blog. http://spiegelmomscraps.com She has something very special waiting for you. There will be a *prize for one lucky winner ! *Prize is sponsored by Memory Works.n! I have been scrapbooking since I was in high school. Of course back then it was nothing like it is now. I do have those old scrapbooks and will post pictures sometime in the future. I enjoy all sorts of crafts. I do woodworking, tole painting, crocheting, scrapbooking and anything else that sounds like fun. 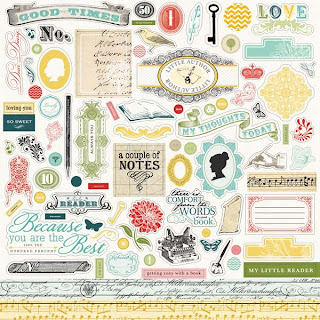 I am an independent scrapbook consultant for Memory Works Scrapbook Company and love love love all the products that we have. One of my new favs is the Simple Stories line of products.